Former Chairman, Bausch & Lomb and Schering-Plough Corp.
Fred Hassan is based in New York and joined Warburg Pincus in 2011. Mr. Hassan was Chairman of Bausch & Lomb, until its sale in 2013, and serves on the board of Time Warner, Amgen and Intrexon. Mr. Hassan is the former Chief Executive Officer and Chairman of the Board of Schering-Plough Corporation. Prior to joining Schering-Plough in April 2003, he was Chairman and Chief Executive Officer of Pharmacia Corporation, a company that was formed in March 2000 as a result of the merger of Monsanto and Pharmacia and Upjohn. Mr. Hassan joined Pharmacia & Upjohn as Chief Executive Officer in 1997. Previously, he was Executive Vice President of Wyeth with responsibility for its pharmaceutical and medical products businesses, and was elected to Wyeth’s board in 1995. Earlier in his career, Mr. Hassan spent 17 years with Sandoz Pharmaceuticals (now Novartis) and headed its U.S. pharmaceuticals business. He received a B.S. degree in chemical engineering from the Imperial College at the University of London and an M.B.A. from Harvard Business School. 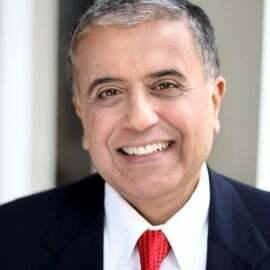 Mr. Hassan has chaired significant pharmaceutical industry organizations including The Pharmaceutical Research and Manufacturers of America (PhRMA) and The International Federation of Pharmaceutical Manufacturers Associations (IFPMA). He is also a member of The Business Council. Mr. Hassan’s book, “Reinvent, A Leader’s Playbook for Serial Success,” was published by Wiley in February 2013.